Although the artists do not form an artistic collective, they are related through their shared experience as teachers at the university’s pedagogical institute. After an informal and introductory conversation, Konstantin, Igor, Oksana and Grigory agreed to complete a survey dealing with the role of culture as an actor in international relations on the one hand, and their artistic practice on the other. Arts Cabinet, as an institution interested in the intersection between art and research was happy and honoured to talk to them. Igor is a painter. A considerable part of his work is dedicated to the topic of Siberia. He considers culture as a powerful instrument in international relations given its strength to touch upon the “sensitive strings of different sorts of people”. 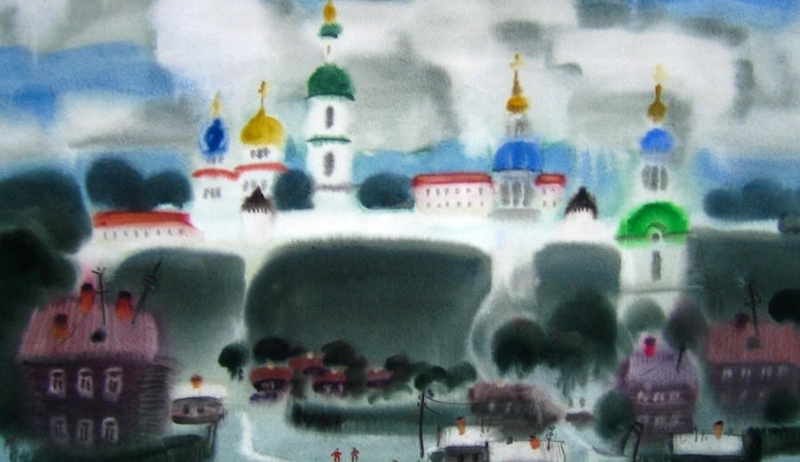 His works are exhibited in both Russia and abroad. He has broad international experience with participation in international Biennales and Triennales (St. Petersburg, Russia) as well as 20 solo exhibitions in Germany and Israel. He has participated in art festivals such as the Russian-Chinese Painting Festival in Guang-Si in China. His works are in private collections all over the world and he has taught masterclasses in various countries. In addition, he is a member of art foundations and sits on international juries. He believes that the exhibition of (his) art has a positive effect as it helps the understanding of Russia and its people. As an artist, he deliberately takes an active civil position as he believes that this can have an impact, particularly on the formation of the inner world of people. He considers the engagement in international projects of importance for this reason as well. For his research, he uses archives and bibliographies on exhibitions. He sees his art as a way to intervene in different places, most of all as it can serve the ‘rapprochement’ of citizens of different communities and countries. Research and study are crucial aspects in his creative and pedagogical work. He values international cooperation, as he believes that creative communication between citizens and colleagues of other countries has benefits, in particular, in that it can spiritually enrich them, which is especially the case for young artists. 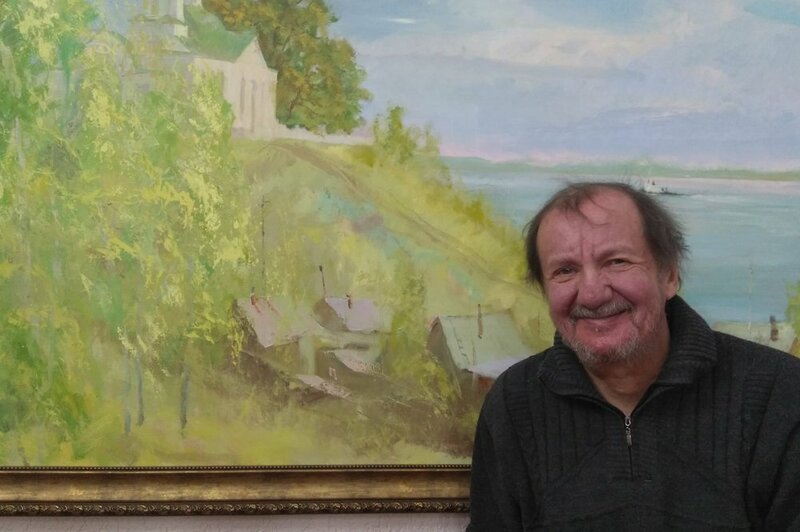 Grigory is a painter. His works are exhibited in France and Germany. In his opinion, culture plays a secondary role in international relations only partly affecting the international system. Its power depends on the level of interaction between cultures and countries. The role of Russian artists has to be understood in relation to relations and historical connections with the West. However, the work situation is getting more difficult, a situation which cannot be disconnected from the visible lack of willingness to invest in culture. Traditions and habits provide a potential way out of this situation. He notices that the place of art in Russia is becoming more and more ancillary, a situation which he relates to the tendency of imitation and the connection to economy and politics. Together with his colleagues, he opposes such trends. He refers to himself as an activist of formal art and member of civic society. In contrast to broader society wherein the notion lives that nothing is eternal (including art), he opposes such thinking - for him art is a category of the eternal and this features in his work. Similarly to Igor, research plays an important role for him. It takes the form of conferences, but also in the conduct of master classes. In the past, he shot a documentary film about his work, participated in the release of art albums, as well as publications of scientific and art magazines. In addition, he believes his art also paves the way to consider alternative ways of seeing the world, for instance to come closer to God. Konstantin is a visual artist. Culture as a phenomenon is characterized on the one hand by its entertainment function (to please) and on the other, by its political function (to contrast). He considers such approaches as short-term thinking and advocates a return to the past in order to understand the present better, and to comprehend prospects for the future. Therefore, in his view, the place of the Russian artist is to never to lose touch with the basics of national culture, while recognizing and respecting other national cultures. Personally, he avoids "hot topics" in his work and reflects his interest rather in "eternal" aesthetic values through the prism of Russian culture. The topic of Siberia and its cultures provides a platform for cultural and political dialogues based on openness and trust as well as a link between the West and the East, a kind of centre of intercultural understanding. Siberia and Russia feature in his work as a mediated source in which he tries to find again and again elusive answers to questions of being. Social media networks are an important platform for artists nowadays both for communication and the mediation of their works with (inter) national audiences. He distances himself from more activist art as his purpose is to create a special system of signs and symbols that reveal the philosophical basis of being. Also, the problems of the representability of the social feature in his work. In his opinion, artists speak in a universal language which should be used in the practice of the interaction of cultures. Cooperation between artists from different areas and their communities will contribute to the "strengthening" of relations between countries, as well as to help neutralise the vicious dependence of some artists on fashion trends, advertising, and so on. Oksana is a musician and a music lecturer. In her opinion, there is a mutual relationship between culture and politics as they can influence each other for the better and the worse. Although, this touches upon a long tradition in Russia, she does not consider this in her work. Research is of importance for her and implies the study of the musical culture of Siberia, in particular the cities of Tobolsk as a spiritual capital and Tyumen. She considers her role as a creative person mainly in the educational sphere, that is, in the development of the musical culture of the young generation of the city and the region. For her art plays an enlightening, cultural role. It also relates to civil society. She points to the double role art can play, both positively and negatively. Rather than being an activist, she relates more to engagement with the enlightenment function of art. The purpose of her music is to attract young people to academic (high) art, to trigger their interest, as nowadays art is often viewed as an object of consumption, and not as a value. The art of different peoples, countries, nationalities (its perception) makes it possible to see the world from a different point of view. Collaboration with international artists is therefore the exchange of values, creativity, and the opportunity to get acquainted with different styles, techniques, approaches in art. The digital space provides a space for global interaction in art, as it makes it possible to bring continents and countries together and to establish cultural interaction.